A quick release, this is still very much WIP but figured people might find it useful even in this alpha state. 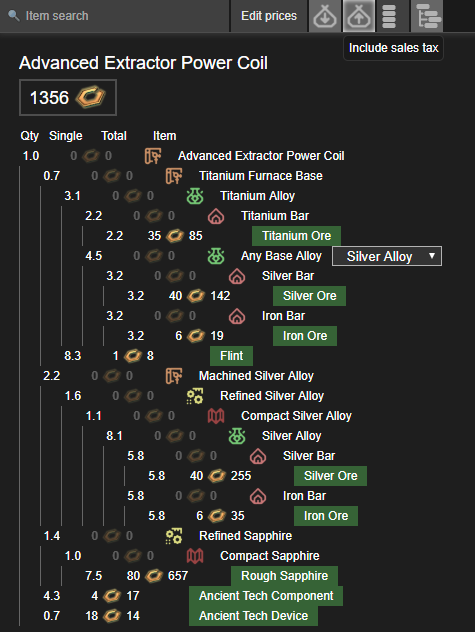 Wanted a fast way to look how many base resources are needed when mass crafting stuff, and to see how much a product is actually worth when I input the prices of the base resources used to make it. Still missing a lot of features! Intermediate resource pricing, now it’s just the base items. 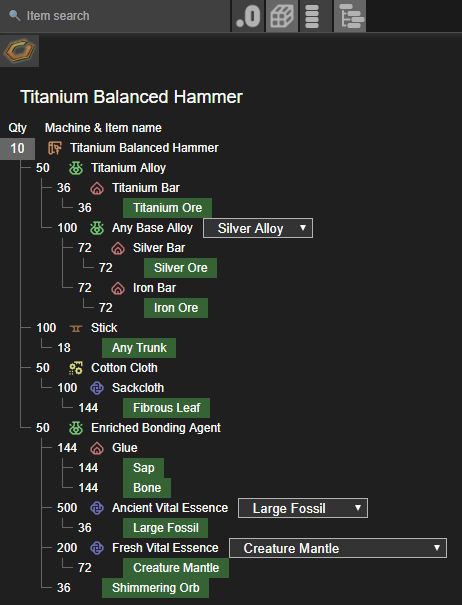 Select if you’re using something else than mass crafts, currently the calculations use just mass craft amounts. The auto-prices are pulled from https://boundlesstrade.net thanks to @fuzzylkd for providing a way to get some data out of there without much hassle. Currently selects the highest buy order price. All data is stored locally in local storage, so if you link an item to somebody the prices won’t be included, just the item name. This is amazing! I’ve been using a local version i’ve made to calculate coil costs myself, but having it on a website, along with integration with boundless trade is just simply fantastic! Oh I seem to have lost that functionality at some point, it’s back there now Requires a ctrl + F5 to skip cached files to make it update. And don’t scrap the spreadsheets yet, there could be bugs in this No extensive testing has been done and it’s pretty spaghetti. edit: Oh wow I was just testing the tax stuff on testing, and the item in the basket disappears now if you don’t have enough budget in it to buy one with the set price! This is awesome! I didn’t see this mentioned in the patch notes, maybe I just missed it. Or is this already on live too? 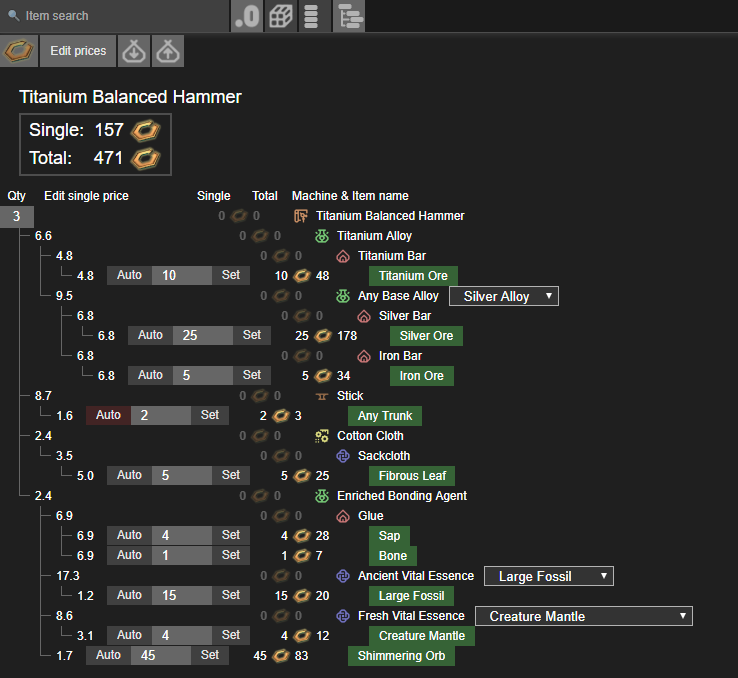 Item quantities can be rounded up to the next mass craft, makes it easier to pick up the right amount of materials from your shelves when actually crafting the thing. Doesn’t affect the coin calculations, display only! Testing is unfortunately suboptimal, lots of things are in flux, so there could be bugs, please report any issues you have!